Nintendo's recently announced 3DS price reduction has cut current sales by half. It's no secret that the 3DS hasn't been doing particularly well. A lack of noteworthy games, including the rather obvious absence of a Mario title at launch, some poor design decisions and paranoid rumor-mongering about how the device's vaunted 3D effects might set people's eyeballs on fire, certainly haven't helped sell the system. Last week, in an effort to get the 3DS off of shelves and into consumer hands, Nintendo announced a very dramatic price drop, less than six months after the handheld's release. Rather predictably, 3DS sales in Japan have plummeted as potential customers wait for the price drop on August 12th. Last week Nintendo sold just 16,415 units, a near 50% decrease from the 31,826 sold the week before. While savvy customers are obviously going to wait the extra week for a full $80 dollar discount on the hardware what of the remaining 50% still buying the thing? Either they're unaware of the impending price cut, or they're looking to take advantage of Nintendo's 3DS Ambassador Scheme, which offers 20 free games, cribbled together from the NES' and GBA's library, to customers who purchase the 3DS before the price cut. 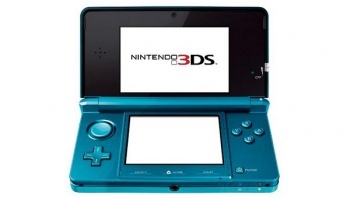 A poll of current 3DS owners on popular Japanese gaming blog 4gamer suggests it may be the former, as a large proportion of the 6468 respondents indicated that the free games did little to increase their "appreciation" of the 3DS. Over 30% of current 3DS owners claimed that the Ambassador program did little to remedy their "anger or regret" regarding the price drop. The poll also gave some indication of why Nintendo's latest handheld isn't selling in the first place. Nearly half of the respondents said that they thought the 3DS' current game line up is anemic and, despite the promise of future titles, they are still "disappointed" with the system. Of the respondents who don't currently own a 3DS 42.1% cited the lack of games as their reason for not owning one and only 5.4% said the upcoming price drop has convinced them to buy the system. 15.3% of those without a 3DS were miserable gits, and said they wouldn't purchase a 3DS regardless of price. Nintendo President and CEO Satoru Iwata has already apologized both for the 3DS' poor sales (taking a 50% pay cut in the process) and the controversial price cut. A recent Nintendo product isn't selling and a CEO has apologized to customers for his company making its products cheaper? If that isn't proof we've slipped into some kind of terrible parallel nega-dimension then I don't know what is.